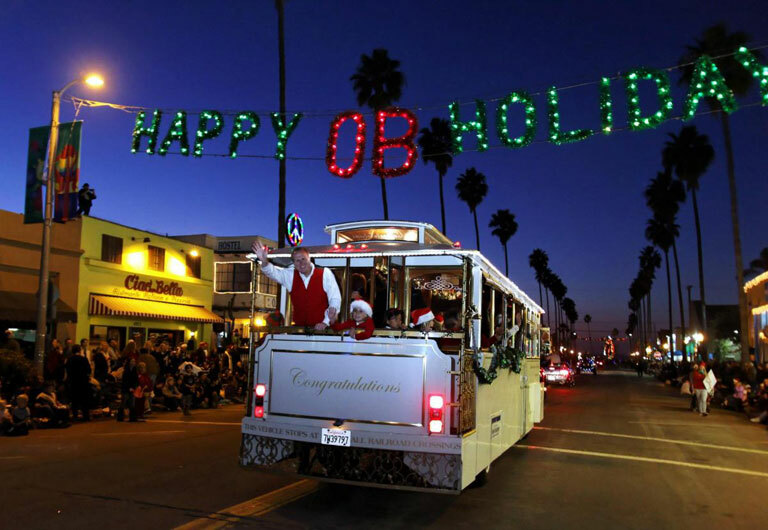 The float winners from the 2013 OB Holiday Parade have been announced. See the message below from the Ocean Beach Town Council. Please accept our sincere appreciation for your participation in the 34th Annual Ocean Beach Holiday Parade. We hope you all enjoyed the parade as much as we did!! We want to extend our CONGRATULATIONS to each of this year’s parade winners! The winners were determined by a panel of esteemed local judges, which included Tom Perrotti, President of the OB Community Development Corporation; Barbara Iacometti, President of the OB MainStreet Association; Tom Gawronski, President of the OB Planning Board; Lynne Bolton, Artist and Owner of the OB Playhouse; and Pat James, Co-Founder and President, of the OB Historical Society. Much thanks to each of our judges for their participation, and HUGE thank you to all of our parade volunteers! The parade could not have occurred without the commitment and support of our community members! THANK YOU! At the Ocean Beach Town Council meeting on Wednesday, January 22nd, located at the Masonic Lodge at 1711 Sunset Cliffs Boulevard in Ocean Beach at 7:00pm, we will present the Parade winners with their awards/plaques, and we welcome your attendance. If you have any feedback on the parade, please be sure to share your thoughts with us by emailing: info@obtowncouncil.org. Also, next week we will be holding our annual Food and Toy Drive prep nights on the 16th, 17th, and 19th – we are always looking for volunteers and donations. Please stop by to lend a hand or give a donation. Additionally, our distribution to local families and seniors will be on the morning of the 21st. All details are available on our calendar: http://obtowncouncil.org/events/.